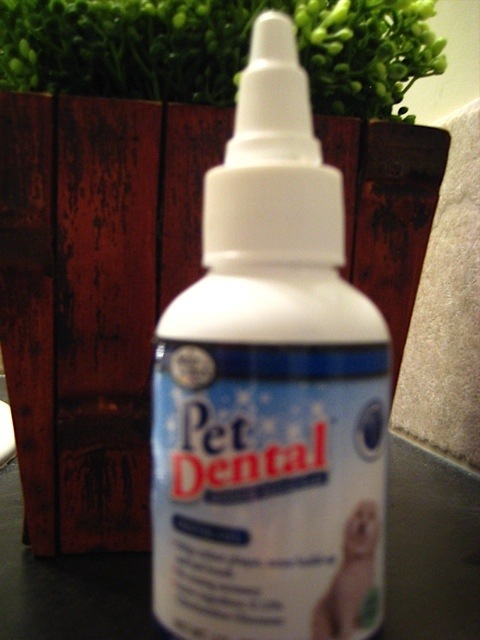 Dogs need their gums and teeth brushed too! My poor dog, Barkley has choppers that are set way back in his head; his poor jaw extends a full 5 inches and ends with a cute button nose. 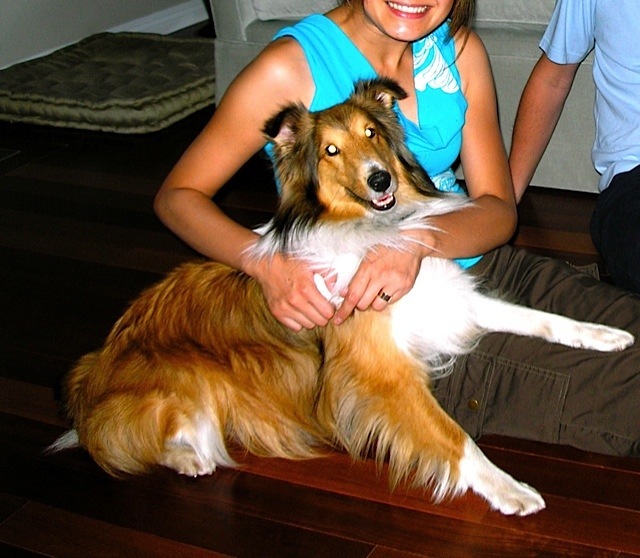 Shelties are known for “bad teeth”, and my vet has informed me that Barkley is no exception! Barkley has had a dental hygiene cleaning done by his vet under sedation in the past, but have been told by the vet that I am probably the best person to do his cleaning. 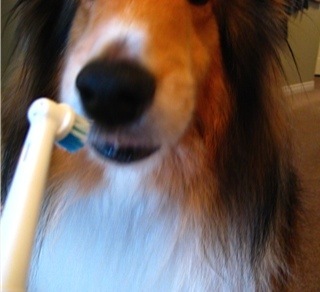 So Barkley gets his own electric toothbrush and most days he puts up with it.